Registration is now live for IMEX America taking place September 10 – 12, 2019 at the Sands Expo and Convention Center at The Venetian® | The Palazzo®. With an economic impact of4.37 billion euros and 26,168 jobs created in Madrid in 2018, IFEMA has consolidated itself as one of the most important driver’s of the region’s economy. Penang Convention & Exhibition Bureau (PCEB) announced that Penang has been selected as the host city for inaugural ICCA (International Congress and Convention Association) Asia Pacific Chapter Summit 2019, to be held from 5 – 6 December. 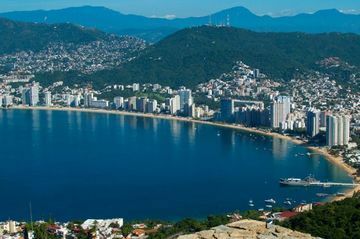 Acapulco is set to host Tianguis Turistico, the most important travel industry event celebrating the destination of Mexico. The World Tourism Organization (UNWTO) held in Segovia, the forum "Facing the Demographic Challenge through Tourism and Innovation", whose opening was attended by Spanish Prime Minister Pedro Sánchez; Spain’s Minister of Industry, Trade and Tourism, María Reyes Maroto; the President of the Junta de Castilla y León, Juan Vicente Herrera; the Mayor of Segovia, Clara Isabel Luquero; and UNWTO Secretary-General, Zurab Pololikashvili.